Outside learning opportunities have always been a core activity in our curriculum and help us to root our Buddhist ethos in the natural world. Our Reception, KS1 & KS2 classes go for woodland sessions on alternate weeks. Each session runs from 9.15am – 12.45pm. The sessions usually involve a mixture of self-directed play, Forest School skills-based activities, observation quests and collaborative games, together with periods of collective stillness and reflection around the fire circle, where the group are free to share experiences and thoughts. 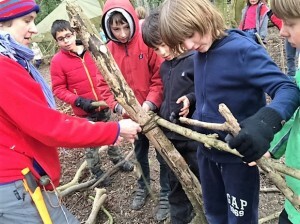 Practical skills taught include whittling, weaving, fire lighting, safe saw practice, campfire cooking, flora and fauna identification, tracking and shelter building. Our session leader, Caroline (Mountain class teacher), has 15 years of experience in leading outdoor learning sessions with the school; she is a qualified Forest School leader (FSL3) and holds a current certificate in Wilderness First Aid. Our teaching assistants are also experienced in supporting outdoor learning and are First Aid certified. There is a wealth of research supporting the efficacy of outside learning experiences for children of all ages, educational needs and social backgrounds. Activities beyond the classroom can provide children with some of their most vivid learning memories; helping them to understand their impact upon the wider world and to develop practical knowledge and social skills that are easily transferable. Through engaging in collaborative outside activities children can also learn how to work as a team, to encourage and support the efforts of others, to be good listeners and negotiators, to be brave, self-reliant and flexible, and, perhaps most importantly, it’s fun! 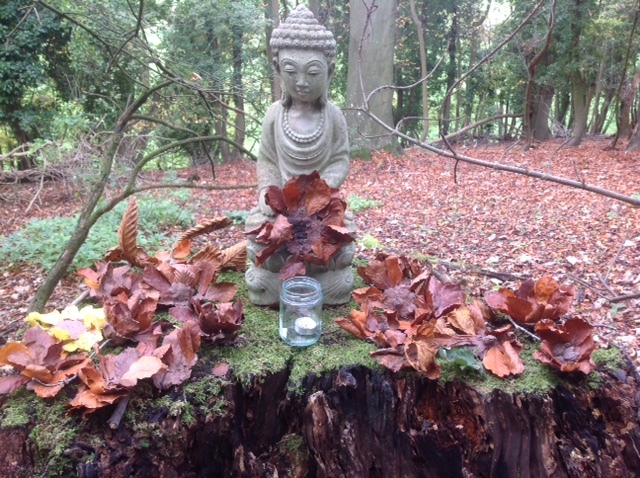 Through being fully absorbed in what we are doing and observing in nature, we are present in the moment and able to connect more easily with stillness, guided meditation and self-reflection – part of our ethos of mindfulness. In developing a profound appreciation of nature, we also begin to nurture a deep understanding of the Buddhist teachings of interconnectedness, compassion and impermanence. In developing respect for other living beings, we begin to understand our responsibilities as guardians and curators of the planet.